Product prices and availability are accurate as of 2019-04-21 09:52:22 UTC and are subject to change. Any price and availability information displayed on http://www.amazon.com/ at the time of purchase will apply to the purchase of this product. 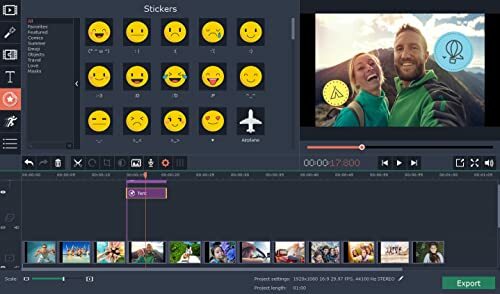 Add your videos and/or images to the program and create spectacular footage that everyone will enjoy. 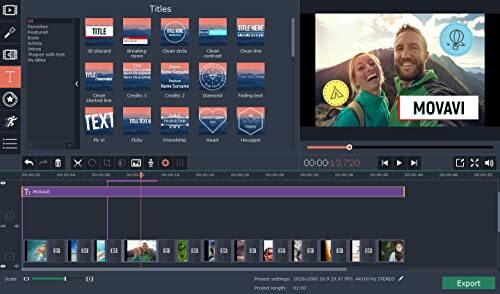 Cut, trim and rotate video segments with the help of easy-to-use editing tools, delete unnecessary elements from your movie. 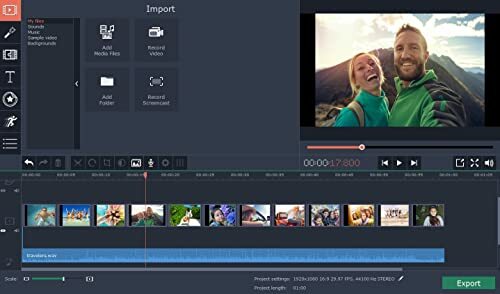 Automatically enhance video quality with the Magic Enhance button or manually calibrate brightness, contrast, and white balance for optimum viewing. 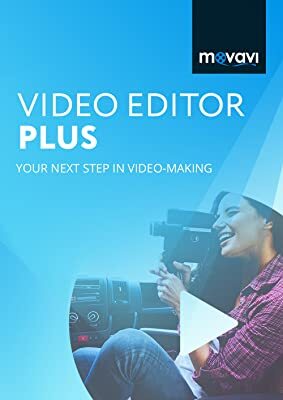 Join video segments with smooth transitions, add stylish captions and callouts. 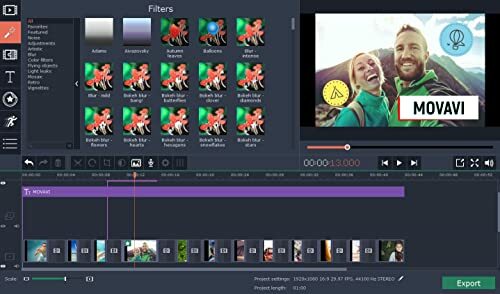 Choose from 160+ filters to creatively transform your video. Apply special effects like Chroma Key and slow motion, make picture-in-picture clips move around the frame. Upload your own music or use built-in audio files to create a unique atmosphere. Make use of themed music collection and create an entire movie in a couple of clicks. Birthday party, wedding, or any other important event – everything can be turned into a great video story! Save your project in any popular OS X-compatible format or export it for viewing on your mobile device. You can also upload your video to YouTube directly from the program. With Movavi Video Editor Plus for Mac, you don’t need any special knowledge to create quality videos and slideshows. The easy-to-use interface will help you become a real movie director in no time! Note: you will need to activate your software through the Settings - Activate Software dialogue box using the license key provided to you by Amazon after you complete your purchase.